Our conversation stopped abruptly. I felt too embarrassed to even exhale. I fiddled with my leopard gloves, passing them back and forth between my hands. She got off at the next stop. I knew how it must look. A group of five Americans talking loudly and excitedly on a mostly empty train. Didn’t we know that Paris had just suffered a national tragedy, that people were mourning? Of course I knew that 12 people were murdered by two brothers because of the cartoons they published, and that more died today after being taken hostage. 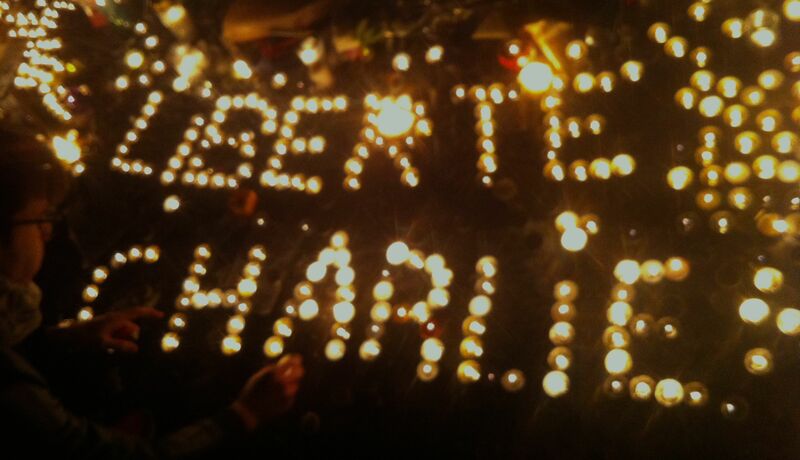 The nights since the shooting, I’ve walked through République on my way home to look at signs saying “Je Suis Charlie.” Last night there was a circle of tea lights with “Liberte Charlie” inside, and it was so hot standing over it that it made my neck sweat under my Parisian-looking scarf. Although I’m acutely aware of the charged situation in Paris, I can’t say I have thought it for the whole of my days. I’m here for a 10-day creative writing graduate residency, so today I’ve thought about how to effectively write flashbacks and whether reading Proust will turn me into one of those people who talk about Proust. Yesterday, I looked out my classroom window and saw a man tethered at the waist with a safety rope walking along a nearby peaked rooftop. I thought it was odd he’d be out there, walking through wind gusts to repair someone’s cable when people were just killed. But who I was I to think that because there I was listening to a lecture on French history and drinking French wine. Last night, bistros were packed along the Canal Saint Martin and today at lunch, people stood in line to get a crepe from the father and son storefront on Blvd. Saint Germain. When us loud Americans had a moment to recover from the shock of being publicly shamed by this woman on the Metro, we thought maybe if she knew we were discussing literature, maybe she would have been less offended by us. Maybe if she had known that we’d also been saddened and scared and worried about our country after a terrorist attack, she wouldn’t have said anything to us. And maybe if we hadn’t been self-conscious about how we think the French see Americans, we might have said something back to her. And I bet she went about her day perfectly happily when those 138 school children and teachers were slaughtered by terrorists in Pakistan (?) a few weeks ago. People only truly feel affected by something that happens to people they feel close to, so for Europeans that tends to be other Europeans, even more so if it’s your own city. She was just trying to make herself look and feel morally superior for being such a caring person. Thank you for sharing your thoughts, Emily. I have been thinking about how this horrific time in France’s history was affecting you. Please know many Americans have empathy for the French and what they are feeling at this time. Every day you could turn to someone in the metro and make the same comment. I am sure more than 20 people die every day on Paris, and not just the old and infirm – young, promising kids too. People who also didn’t deserve it. 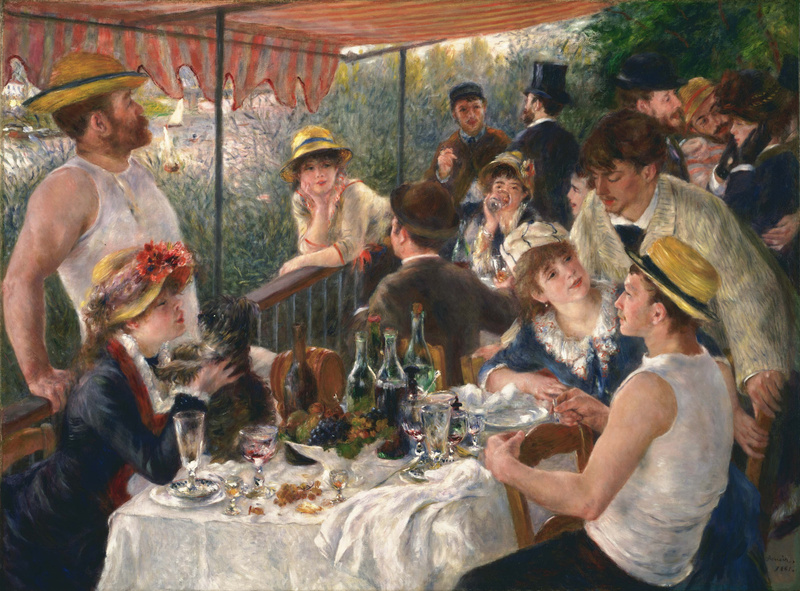 Should we never discuss literature or try to live our lives? and to keep on with our lives. To do otherwise is to give the terrorists more power and influence than they deserve.